back from Rosmalen I present to you my prey. Also here I need the help from experts. Please see my questions below the pictures. If anybody could help with some answers, please send a comment. A very nice owners manual dated March 1952 (I would swap against an iusse of June, July or August 1951). My question to the experts: in this manual I can´t find any Samba-specific content as handling the sunroof for example. Did the Samba have its own manual? 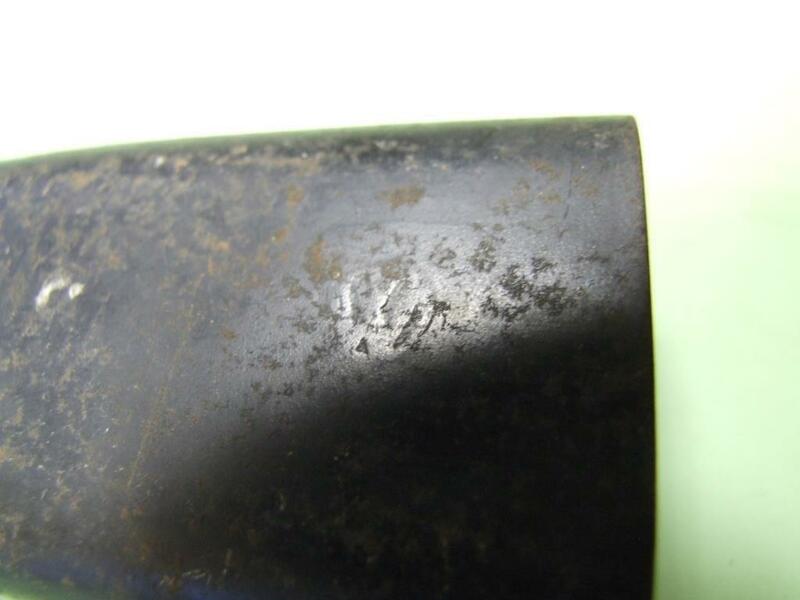 A NOS-tailpipe for the single tip muffler is always a nice find. But I saw these in different length. What would be the correct one for the Samba? 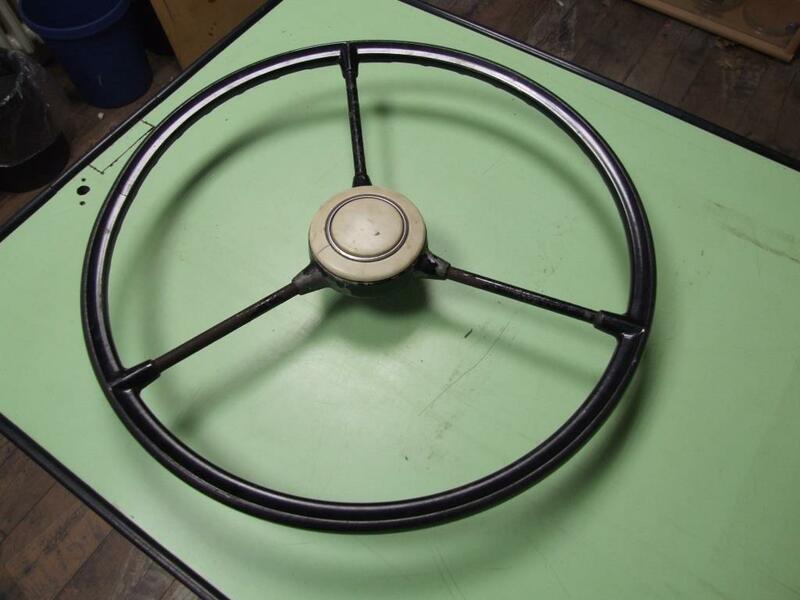 Are all Barndoor steering wheels the same? I know the Samba needs a ivory one, but wouldn´t it be OK just to paint this one here? OK I got the answer on this one now. Please see details in the comments. 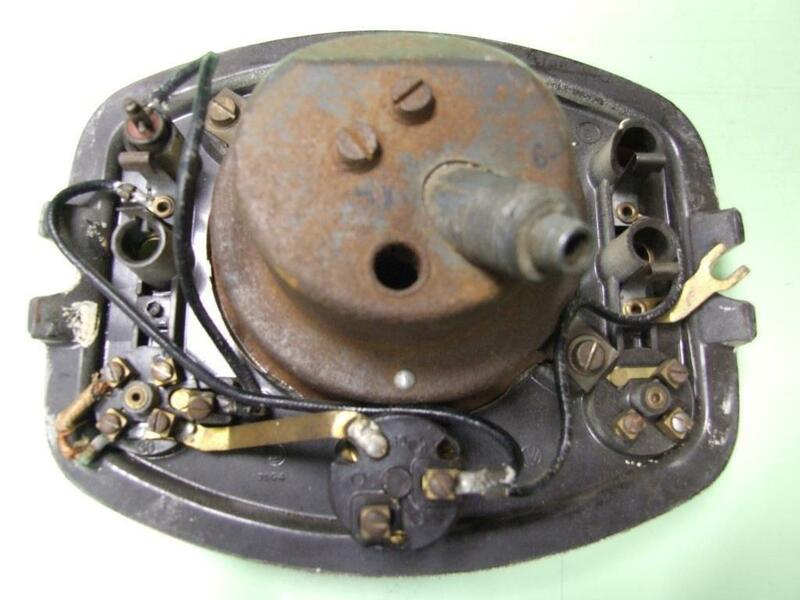 The 1954 parts catalog says that the Samba had the same speedo plate as the Export split bug (in opposite to the speedo plate for the regular bus, which is -due to the parts catalog- a bus specific unit, whatever the reason might be). So this one here should work for the Samba when I change the speedo, right? Can anybody date this brochure? On the back it says 12.51, but I doubt it and think it must be a little later. Why? 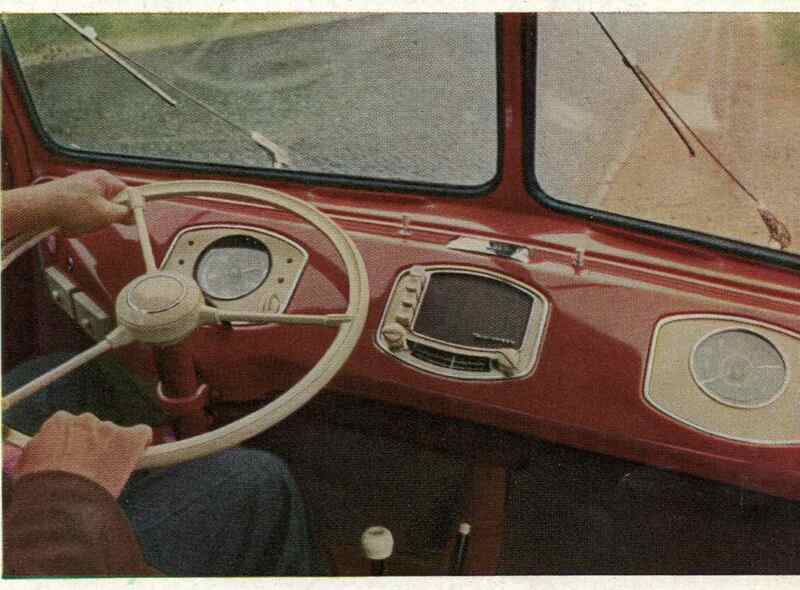 Do you see the two little switches left and right the ashtray? 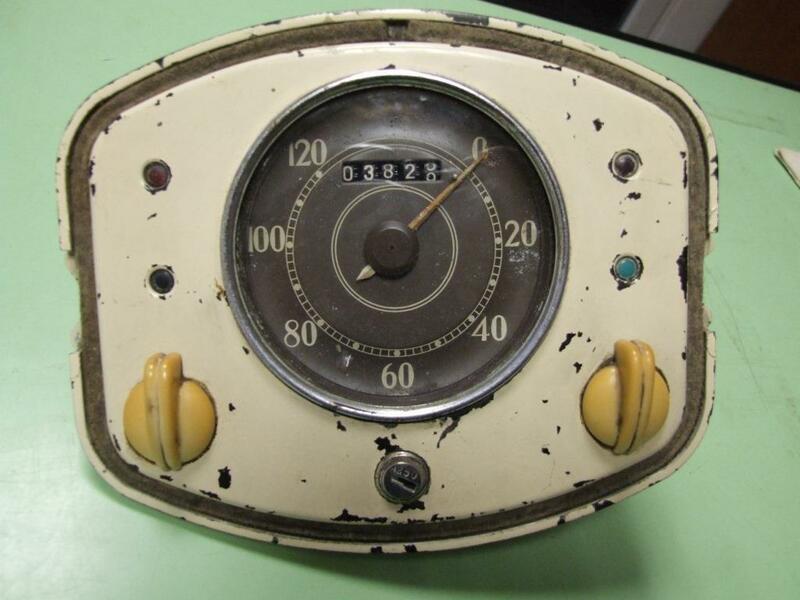 A December ´51 should have just one switch, at least if the dash below, which belongs to a February ´52 Samba, was restored in the right way (of which I am sure since this collector is a serious one). 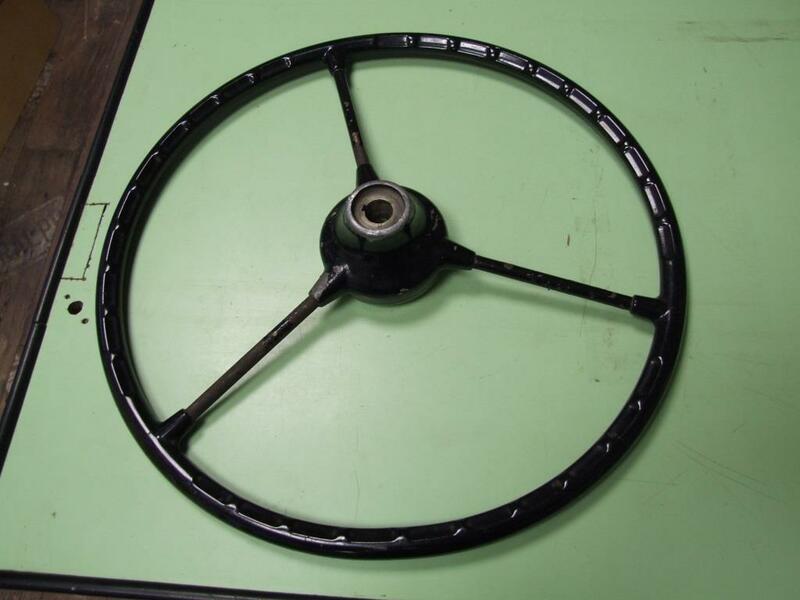 Also I do know now that the steering column tube and its fixing bracket are of black colour in 1951. Note also the unique ashtray! 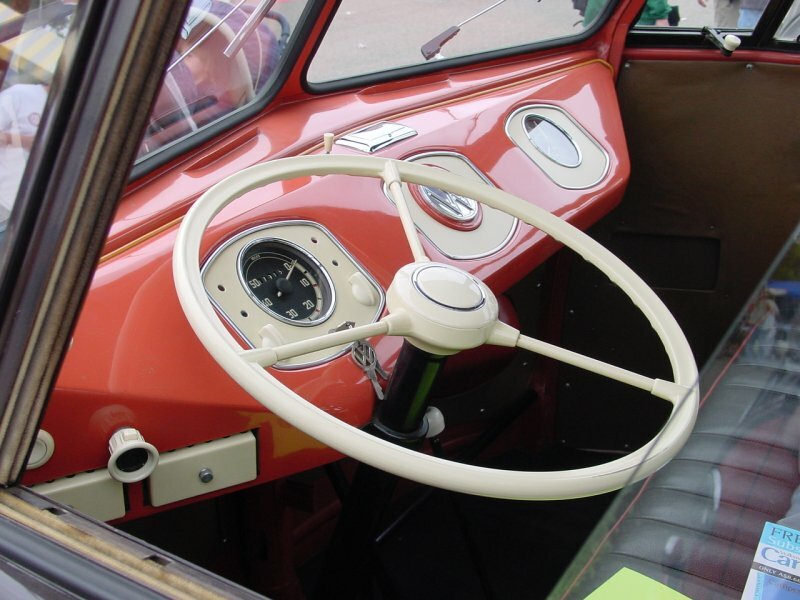 It´s peeping out of the dash and it is smaller than all the other ashtrays! Interesting detail for our king-of-dashboards, Mark Spicer 🙂 Did you know it, Mark? Du benötigst die kurze, verchromte Ausführung für Barndoor- Samba- Busse ohne hintere Stoßstange. ja, ein verchromtes kurzes Endrohr für frühe Sambas ohne hintere Stoßstange würde natürlich Sinn ergeben, aber die Frage ist: hat es das je gegeben? Der 1954er Ersatzteilkatalog listet ein sambaspezifisches Endrohr auf (241 251 275), aber 1954 hatte der Samba schon lange eine hintere Stoßstange, 241 251 275 müßte also entsprechend ein langes Endrohr sein. Ein spezielles Endrohr für frühe Sambas listet der 54er Katalog nicht auf. Bliebe natürlich die Theorie, daß der frühe Samba ohne Stoßstange es genau so hielt wie der entsprechende Bus von 1951, nämlich gar keine Endrohr. 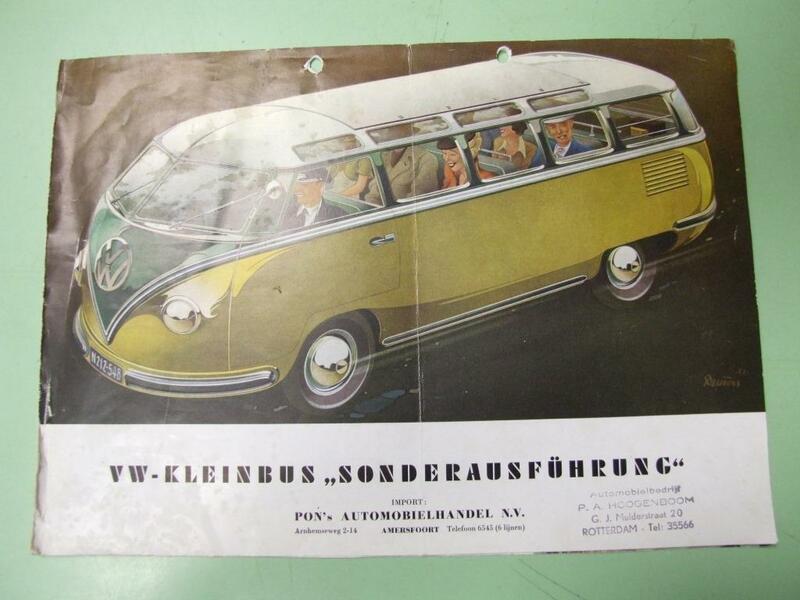 Der Katalog vom März 1951 jedenfalls kennt kein Endrohr für den Bus. das wäre natürlich auch möglich, dass der 51er Samba kein Endrohr hatte. Auf jeden Fall gab es ein kurzes, verchromtes Endrohr, da ich schon seit ca. 25 Jahren eins habe, was mir ein befreundeter Sammler damals gab. Auch er besaß das Teil schon sehr viele Jahre. Ich weiß nicht, ob es in den 50er bzw. 60er Jahren solche kurze, verchromte Endrohre als Zubehör gab. Hello Florian, follow my link to see the differences between the exhaust muffler tips? But I can´t find an answer to the question which style / length might be correct for my ´51 Samba. Hello Florian, here’s a part of your answer. The tip you’re showing is a long one. These are only used on the 1959 model with the new upgraded bumpers in combination with the 1192cc 30 Horse engines. 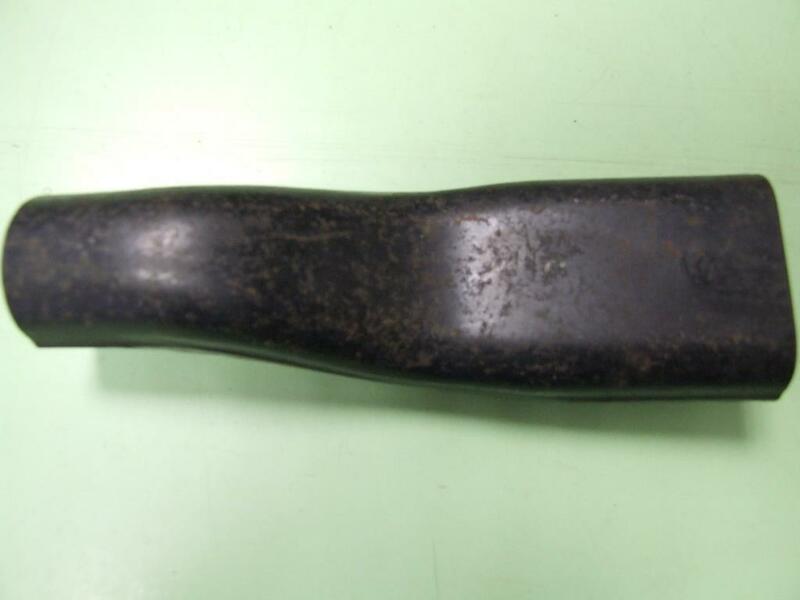 I do not have any knowledge about the exhaust muffler tip used in 1951. 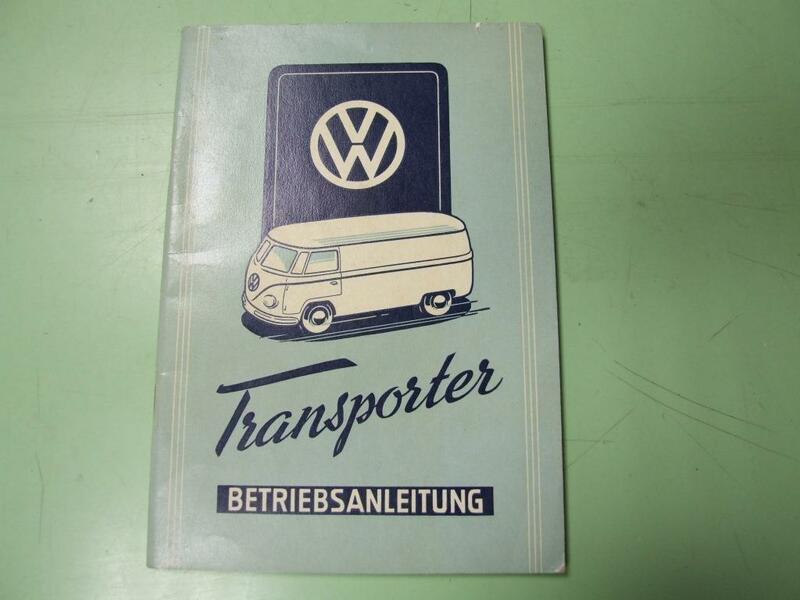 What i do know is that VW used the short version. I don’t know if that was a black or chromed one. I do like your post about the wiper blade arm discussion “Black or Chrome”. I think this is similar for the muffler tip. Good luck with your very cool resto. The parts manual shows no muffler tip in the parts manual for 1950-1954. To my knowledge the muffler tips came when VW started using rear bumpers. 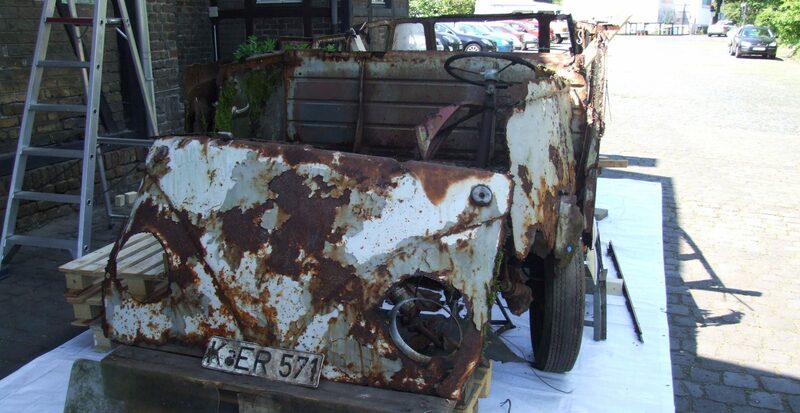 See this article on the Samba about early Barndoor mufflers.